The end of October marks the annual Dana Point Harbor Championships hosted by Dana Point Yacht Club. 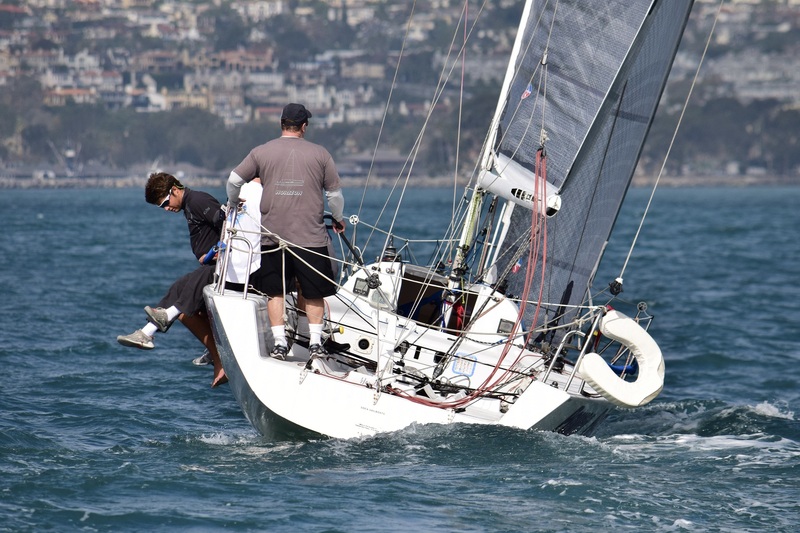 The culmination of sailboat racing in Dana Point is a two day regatta that is invitation only. The pre-requisite is to attain a first place trophy in one of the many regattas hosted in Dana Point Harbor. 2016 saw a sharp fleet of 12 entries for the Spinnaker Fleet. The ratings varied from Dennis Swift’s “robot Parade” at 156 to Viggo Torbensens “Timeshaver” rated -6 and everything else in between. This variance in boat speeds led to some interesting starts! 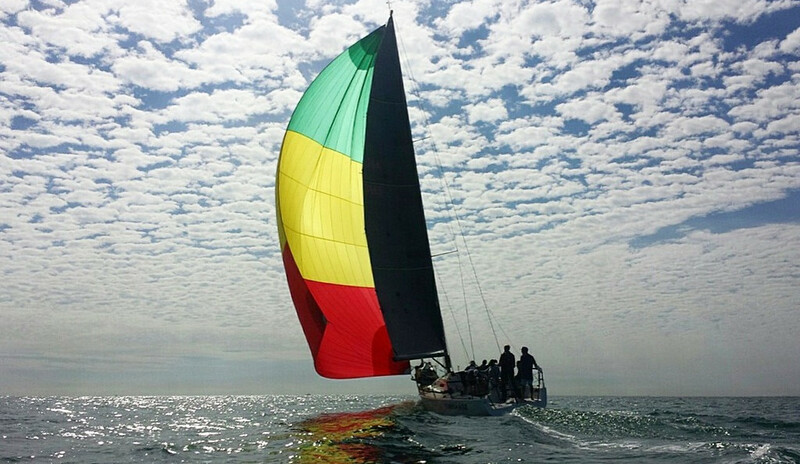 Saturday brought a fresh westerly breeze making for perfect sailing conditions. The two day regatta, however, was turned into a one day affair due to Sunday being effected by a ‘high pressure system’ that literally sucked the wind out of the Dana Point area. Racing was tight right off the line and the boats that managed to get to the westerly first had the advantage. The first two races were long laps and gave the bigger boats some room to stretch their legs. Timeshaver got off to a great start with two bullets in a row. 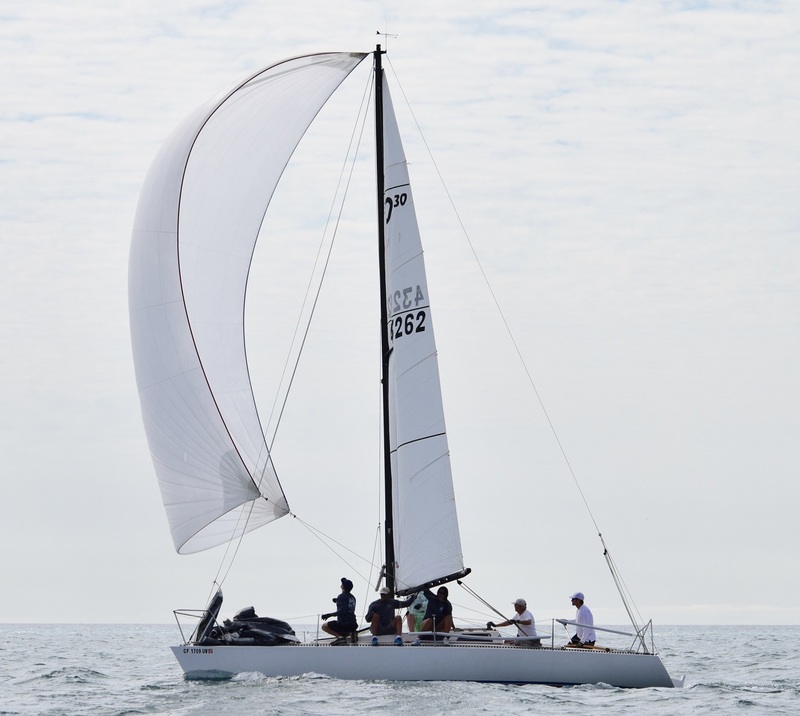 The Olson 30 “Grey Goose,” winner of the Olson 30 Nationals, was in close pursuit and in close contention for the top of the podium. Race 3 was a bit different as Timeshaver got pushed left, giving boats on the inside of them the chance to save their time. Brian Werner’s FT-10 “Ruckus” took full advantage with a bullet and Grey Goose was second. This brought the scores closer as the final race of the W/L and ultimately the regatta was soon to follow. The fourth and final race got off to a tense start as Timeshaver got to the line a bit early followed by Ruckus. Timeshaver realized they were over early well before the gun and as the horn signaled the start they tried to get back asap. After fouling one boat, clearing their over early and doing a 720 they were on their way. This opened to doors up for Ruckus and the other boats to take advantage. James Wet’s Sydney 41,”Twister” sailed well and took race 4 followed by Grey goose and their sister ship “White Lightning” who were separated by one second!! Ruckus was scored OCS, ultimately taking them out of contention for the regatta. When the dust settled the overall standings were close! Grey Goose was only one point behind Timeshaver with one day to go! The tense battle between the the top boats never happened as day 2 was canceled due to light air handing the regatta once again to Viggo Torbensen and his crew on Timeshaver! Jeremy Quinton and his team on Grey Goose took second with Jason Adamson’s White Lightening in third! The two Olson’s always battle hard and this time it was the grey boat coming out on top. 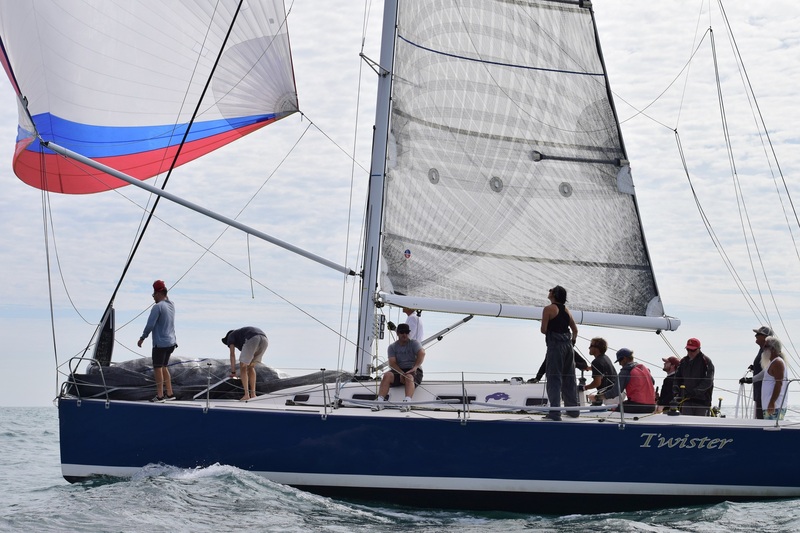 It is an honor to sail in Harbor Championships and we would like to give a shout out to all of the boats who battle just as hard as everyone else around the race course. 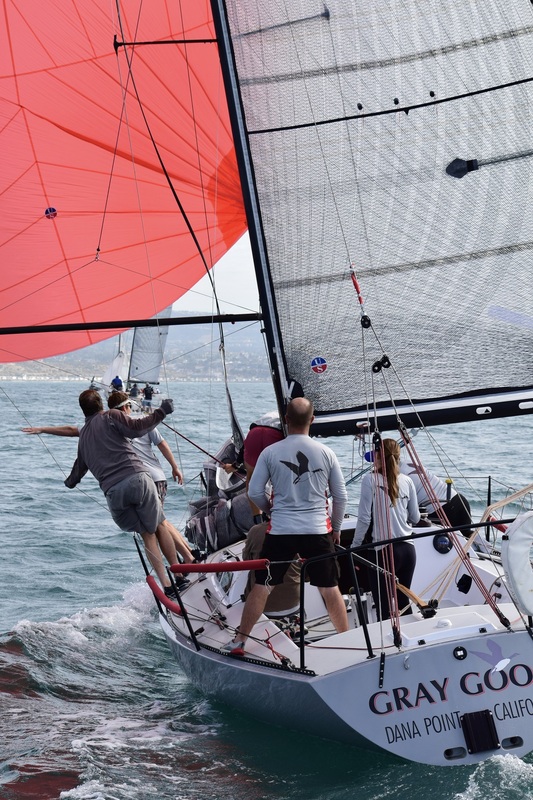 Ullman Sails is proud to power the top 4 boats in the Dana point Harbor Championships!